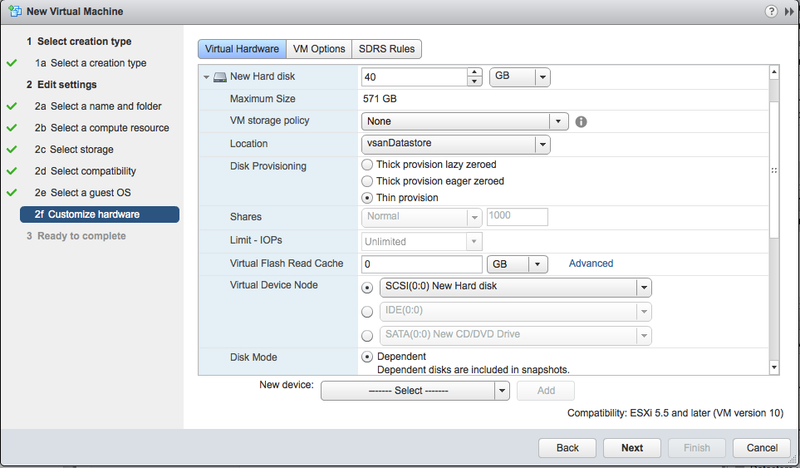 VSAN Part 24 – Why is VSAN deploying thick disks? In this post, we talk about a particular behaviour with using the default (or None) policy with VSAN. I have stated many times in the past that when a VM is deployed on the VSAN datastore, it behaves like it is thinly provisioned unless the capability ‘Object Space Reservation’ (OSR) is specified in the VM Storage Policy. 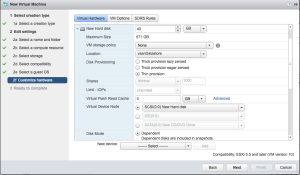 The OSR will pre-allocate space on the VSAN datastore for the virtual machine’s storage objects, and is specified as a percentage of the actual VMDK size. However, there is a slightly different behaviour when the default policy is used. Once again, I was in a conversation with a customer who stated that when he used the default policy of “None”, he could see space being consumed on the VSAN datastore was equal to the size of the VMDK * FTT (Number of Failures To Tolerate). He wondered why this was the case when the default policy clearly did not contain an Object Space Reservation capability. So all VMs deployed on the VSAN datastore using a VM Storage Policy will not reserve any space unless Object Space Reservation is specified. However if you choose to use the default policy (None), VMDK formatting (thick/thin) will still be used. So total VMDK and 2 replica = 150GB ? I try create VM 8GB, I use FTT=1, then total vmdk and 2 replica=16GB? Can you explain me? A replica in this case simply means a copy of the storage object. So with FTT=1, you get a total of 2 replicas (2 copies). Therefore 2 x 8GB = 16GB consumed. – Remaining capacity of vmdk?….total of 2 replicas (16GB) + vmdk (8GB) = 24GB. 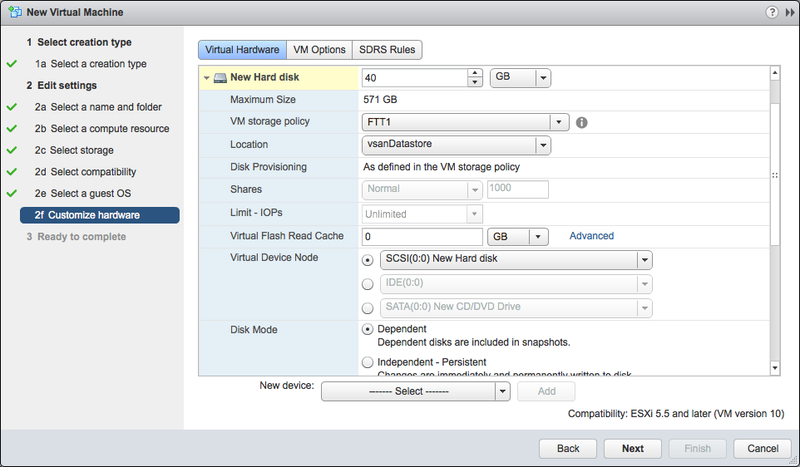 Space free is 50GB… Then create VM 8GB and FFT=1, remaining capacity of Vsan datastore = 34GB? So when VM running means 1 replica (1) running, replica(2) other synchronization from 1 replica (1). So there must be 1 replica(1) is vmdk. 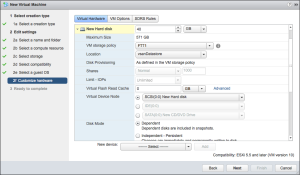 – Vsan only show 2 replica, why it don’t show vmdk of object? – Can you help me? +How manny datasore VSAN have ?? only one or more than one ????? 1 datastore per VSAN cluster. If you mean that you wish to use Microsoft Cluster Service (MSCS) for SQL failover clustering running in VMs, then no, there is no support for this as it requires pRDMs, and VSAN does not have RDM support. + VSAN datastore only contain Virtual Machine? Correct – VSAN datastore only supports VMs at this time.